Lopez Canyon Park is located above Sylmar, where the Kagel Truck Trail connects through the 125-acre property. 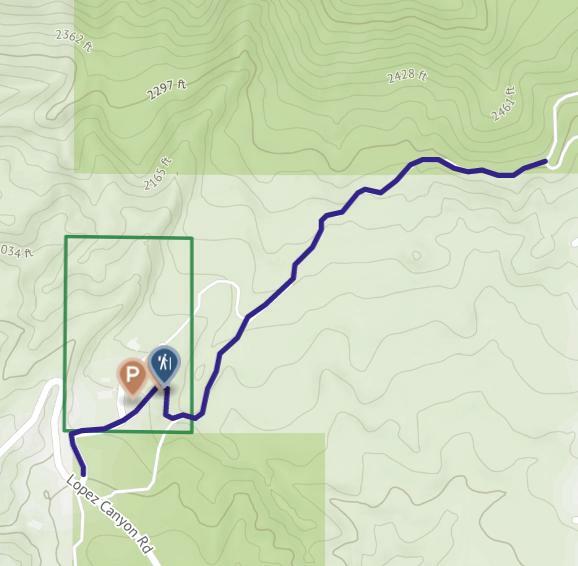 A trailhead parking lot provides convenient access for equestrian trucks/trailers, hikers, and mountain bikers to access the USFS Angeles National Forest and it’s hundreds of miles of trails and fire roads. The trailhead has parking, a portable ADA-accessible restroom, drinking fountain, and horse tie-up area with water. With amazing views below to the San Fernando Valley and above to the Angeles National Forest, Lopez Canyon Park provides an ideal trailhead for equestrians and hikers.